Lemon balm, botanically known as Melissa officinalis, is part of the Lamiaceae, or mint, family. The herb's medicinal value lies mostly in the terpenes, tannins and eugenol found in its leaves. The University of Maryland Medical Center recommends taking 2 to 3 ml of lemon balm tincture three times a day. Though lemon balm is generally safe to take, be sure to consult a health care professional for proper dosage and safety information. Terpenes, parts of the volatile oil that gives lemon balm its distinctive smell, are also responsible for its efficacy as a sleep aid and sedative. Lemon balm tincture is especially potent in treating insomnia when blended with valerian root. A study published in "Fitoterapia" by A. Cerny and K Schmid found that patients who took a combination of valerian and lemon balm slept significantly better than patients who took a placebo. "The Complete German Commission E Monographs: Therapeutic Guide to Herbal Medicines" lists lemon balm as a carminative--a substance that prevents or eases gas. The University of Michigan Health System attributes the carminative property of lemon balm to the terpenes constituents. The herb may help dyspepsia, calm nervous stomachs and relieve colic. The terpenes and tannins in lemon balm have antiviral properties, while eugenol kills bacteria. The herb's antimicrobial properties are specifically linked to the constituents neral, citronella, trans-caryophyllene and geranial. 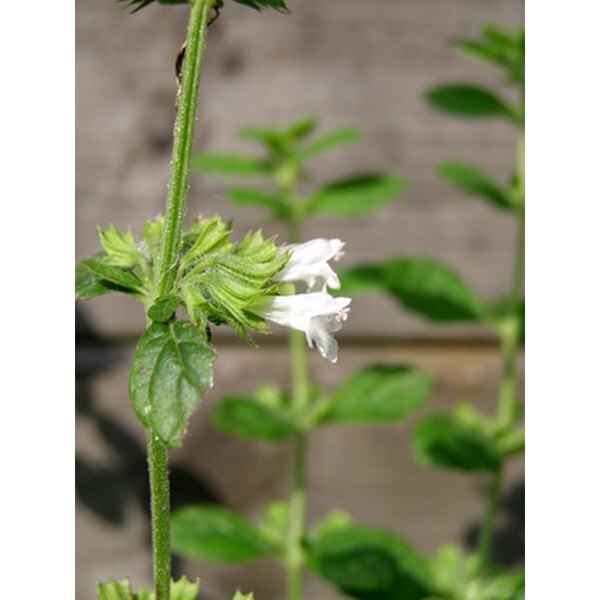 One study in "Revista Medico-Chirurgicala A Societatii De Medici Si Naturalisti Din Iasi," a Romanian journal, found that lemon balm is particularly effective against Candida albicans, the fungus that causes yeast infections. Lemon balm may be a possible aid for improving cognitive function and decreasing agitation in Alzheimer's patients. Lemon balm extracts may bind directly to specific receptors in the brain that make it an effective and relatively safe treatment for dementia.